Microsoft is now pushing out Windows 10 Insider build 14383 for PC and Mobile build 10.0.14383. Recently, Microsoft had released insider build 14379 for PC and Mobile. The latest build is only available for a fast ring right now. Dona Sarkar posted a tweet to inform insiders about new build release. The new Windows 10 insider build 14383 includes mostly improvements and bug fixes. But there are still few new thing that will excite you like, now there is no ‘Windows Insider Build’ watermark on the desktop in Windows 10 Insider build 14383 for PC. 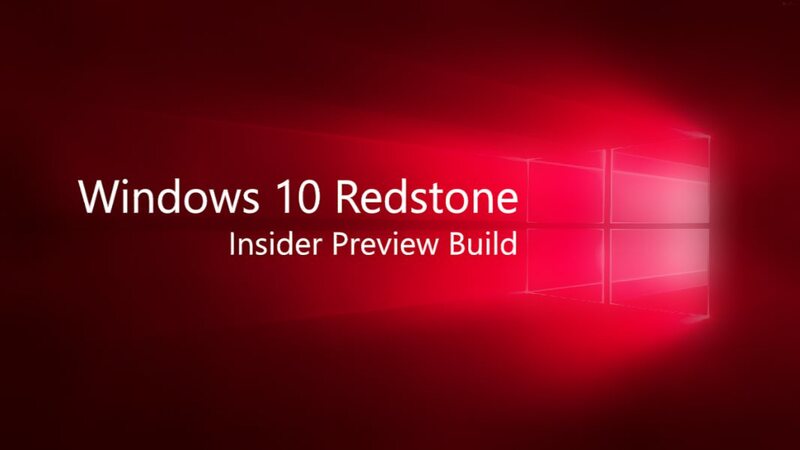 Insider team is now preparing the final codes for Windows 10 Anniversary Update which is coming on August 2nd. You will notice a few things are different with this build. For example, the desktop watermark is now gone. This is because we’re beginning to check in final code in preparation for releasing the Windows 10 Anniversary Update to customers on August 2nd. But we’re not finished yet and will have more builds to release to Windows Insiders between now and then. Remember you guys play a big role in helping us decide which are the final *final* bits that we ship globally. Microsoft will release Windows 10 Anniversary Update for both PC and Mobile on August 2. Windows 10 free upgrade offer for PC is also coming to an end this month. Microsoft will continue free upgrade offer on Mobile devices. If you are still on older OS, you have now 20 days left. Free upgrade offer is ending on July 29.